Not all great journeys are long journeys. At less than 200km long, the Hastings River may not be our longest river, nor our grandest, and it certainly doesn’t get all the media attention of the Murray and Darling. 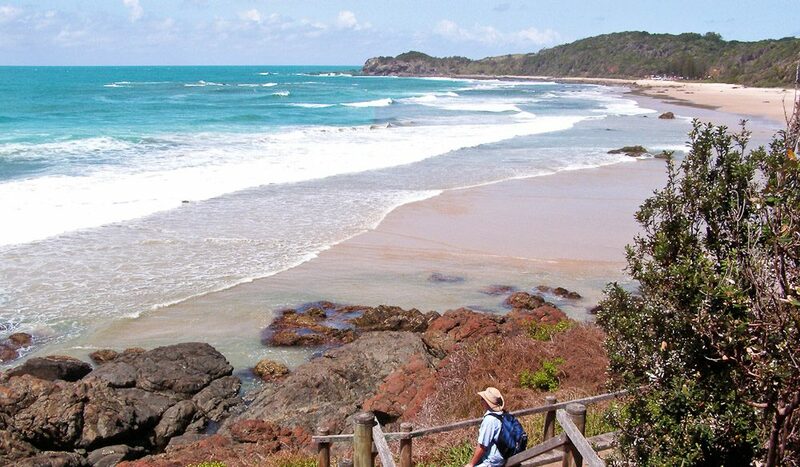 But following its course from its source high in the subalpine wilderness of Werrikimbe National Park to the point where it spills into the sea at Port Macquarie is a journey through World Heritage rainforest and some of the prettiest rural countryside in New South Wales. Like most great rivers, the Hastings begins with more of a whimper than a bang: trickling from a swamp at the top of the Great Dividing Range east of Walcha, more than 1100m above sea level. To get here we bump our way across dusty dirt roads, following the only squiggly line on the map rather than any decent road signs, hoping that if we just keep heading east towards the hills we’ll end up where we want to be. Finally we start seeing signs that tell us we’re in Werrikimbe National Park. The headwaters are a shortish walk from Mooraback camping area. The swamp pools into small ponds where, according to the signs, platypus play, but we don’t see any so we head across the top of the plateau on the 4WD-only Racecourse Trail. 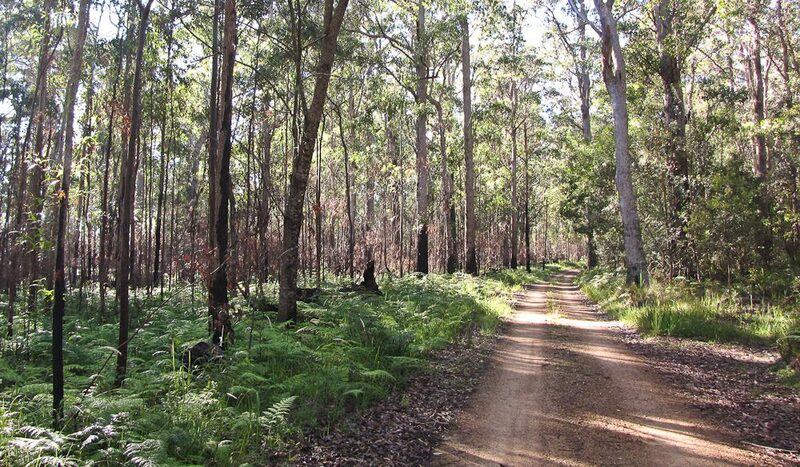 It’s steep and rocky in sections, and the Forbes River crossing can make it impassable after rain, when the track can also become very boggy, but it has beautiful forests with fern understoreys, stands of snow gums and, during spring, masses of heath and other wildflowers in bloom. It hooks up with the Forbes River Road (via the tongue-twisting Cockerawombeeba Road, which is marked as closed on most maps but has recently reopened with the building of a new bridge). We follow one of the main tributaries of the Hastings, the Forbes, to finally meet up with the Oxley Highway about 50km west of Wauchope. We stop along the way at Plateau Beech camping area for a picnic lunch, then stretch our legs on the King Fern Walk, an easy but quite magical stroll through Antarctic beech rainforest, a relic from the time when Australia was part of the Gondwana supercontinent with South America and Antarctica, and one of the many reasons why the park was given World Heritage status in 1986. Walking through, it’s easy to imagine what these rainforests would have looked like more than 70 million years ago: pretty much just like they do today. 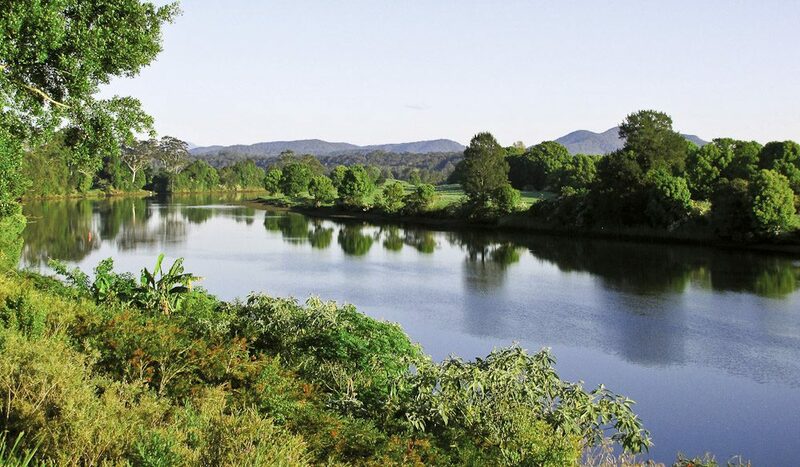 Once we reach the Oxley Highway we’re following the now much mightier Hastings, and the dense rainforest is replaced by green rolling pastures as we trace the twists and turns of the river to Wauchope. Back in the cedar-getting days, this was the region’s main river port – seaside Port Macquarie was just a handful of beach shacks and the remains of an abandoned convict settlement. The old wharf in Wauchope is long gone, but there is a pretty riverside boardwalk and some picnic tables. Following the highway east to where it meets up with the Pacific Highway, we ignore the signs to Port Macquarie and keep going north for another 5km until we hit the river again, taking Hastings River Drive beside the banks. Pelicans swoop and soar, fishermen cast their lines and oyster farmers tend their leases as we make our way into town. 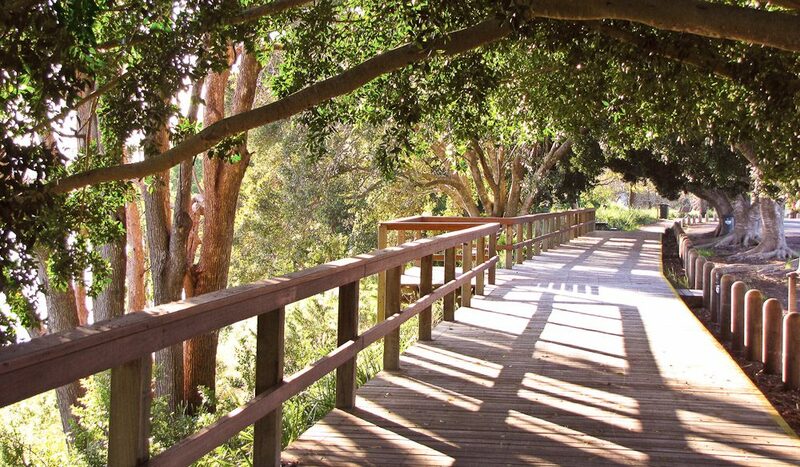 The river’s mouth is in the heart of Port Macquarie, where the riverside Town Green is the community’s main meeting place and full of picnicking families enjoying the balmy evening breeze. 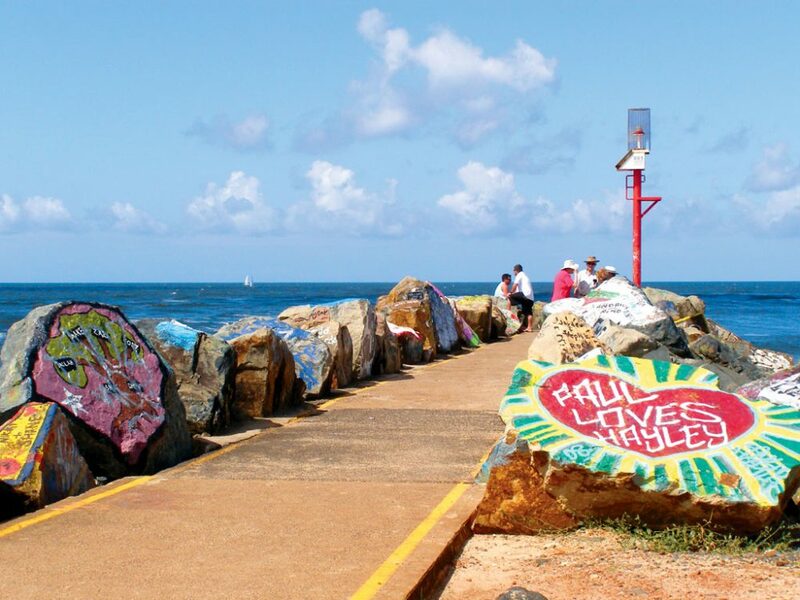 We take a sunset stroll along the breakwall, enjoying an ice-cream while reading the many colourful messages painted along the rocks, and keeping an eye out for dolphins along the way. • If you want to linger in the area, there are three small campgrounds in Werrikimbe (see www.environment.nsw.gov.au/NationalParks). Brushy Mountain has 12 large grassy sites and a cooking shelter. Mooraback is much more basic and has just five sites, but it’s a good place to see kangaroos and platypus. Plateau Beech has five walk-in sites. None are suitable for caravans, although camper trailers are OK.
• At the other end of the road, the best river-view rooms in Port Macquarie are at the Macquarie Waters Hotel and Apartments (1800 70 25 35; www.mwaters.com.au) and Rydges Port Macquarie (02 6589 2888; www.rydges.com). All the roads inside Werrikimbe National Park are dirt and can be slow going even in fine weather. 4WD is recommended – and watch out for logging trucks. • Drop into Hastings Valley Olives at Yarras for tastings of local olives and flavoured oils. The free camping area beside the Hastings at Ellenborough is a good spot for a picnic. • The riverside beer garden at the pub at Long Flat is a favourite watering spot with locals, especially on sunny weekend afternoons. Slurp down a dozen of the Hastings’ finest oysters at the Big Oyster on Hastings River Drive.